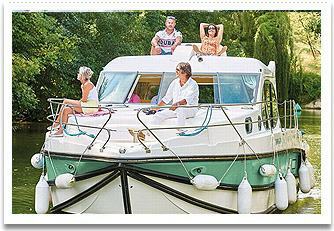 Boat holiday specialist in France since 1997. 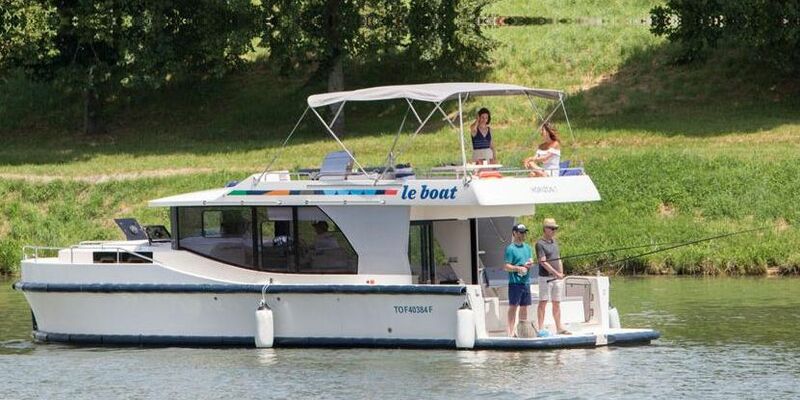 We have created a partnership with the 4 largest boat rental company in France. 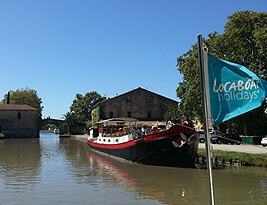 Le boat, Locaboat, Nicols and Canalous.
. 250 boat models, 12 countries, 28 Boating regions and 115 departure bases. 2019 Early Booking Discounts. Take advantage of our guaranteed early booking discounts. 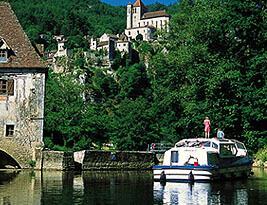 UP TO 20% and begin planning your escape on Europe's picturesque waterways! Be the captain of your own boat. No license or experience is required. It's that simple! You come aboard and we show you everything you need to know during a briefing and demonstration. Then you're off enjoying your boating vacation. It's like driving a car, but much easier and more relaxing! Based on this success, we are pleased to announce that two, three and four bedroom en-suite versions of the Horizon will be joining the fleet. 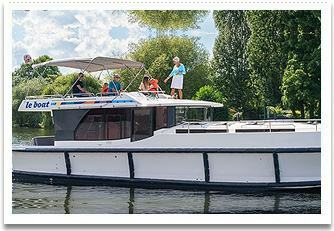 Reasons to choose Canal Cruiser.com ? 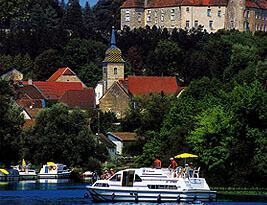 More than 220 model boats throughout Europe. The very best deal on your vacation. 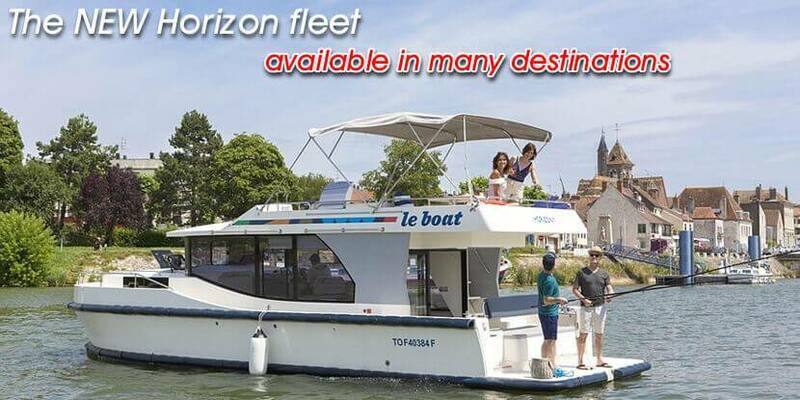 For this new season, with its 5 cabins, it is ideal for large groups who wish to enjoy the same comfort and equipment as the rest of the Horizon fleet. The Pénichette Evolution® adds ground-breaking technical to the the traditional Penichette to serve a single purpose: set a new level of satisfaction for cruisers. It offers an incredibly modular, modern and light-flooded living space thus offering an unparalleled size/comfort ratio. Beginners and experts will be convinced! 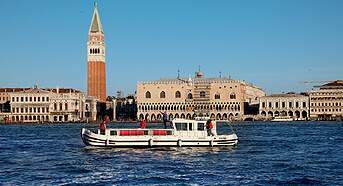 The new boat is non-polluting and environmentally friendly thanks to its "zero emission" propulsion. 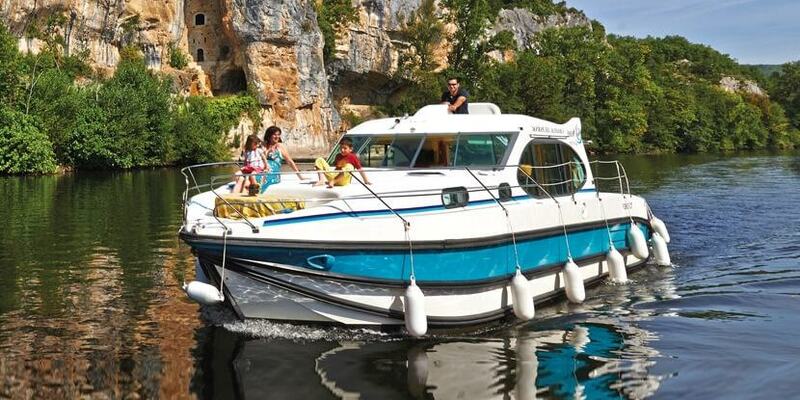 Now all you’ll hear is the sound of the lapping water while you cruise thanks to the silent electric power. 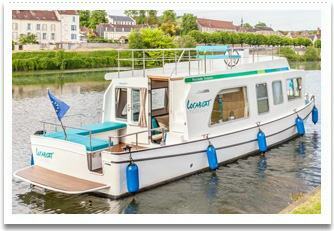 This canal barge offers four cabins and four bathrooms and has air conditioning for additional comfort to navigate in a warm region such as the Canal du Midi. 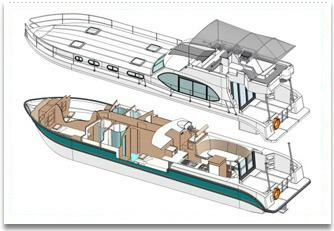 The boat has a covered rear terrace with table and chairs and access to the upper deck.